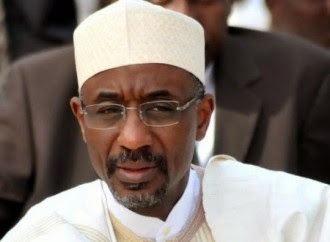 Emir of Kano, HRH Muhammadu Sanusi II, has said that President Muhammadu Buhari’s endorsement of the Central Bank of Nigeria’s (CBN) currency policies risks undermining the progress recorded in the fight against Boko Haram in the northeast and efforts aimed at tackling corruption. explained that Buhari’s government does not have the reserves to keep the naira-dollar rate at its official level. President Buhari has resisted the devaluation of the naira and had stated his support of the currency restrictions on 41 imported items, but says the Central Bank is expected to begin the easing of forex restrictions in the course of 2016. The emir said that President Buhari’s anti-corruption stance was “totally inconsistent” with the forex regime he supported and that it encourages corruption and rent-seeking similar to the fuel subsidy regime. He expressed dismay over the monetary policy regime which he said has “very obvious drawbacks that far outweigh its dubious benefits”. “Unfortunately, because the exchange rate is right out there in front now, monetary policy is being seen as the barometer for broader economic thinking,” he said, adding that “It is sad that on this one policy you get it so wrong that you risk taking away attention from everything else.